← Here’s a real deal for the dog days of summer! Who’s afraid of GMOs? How about the NSA? Yikes! We’re launching two new Wally designs today that have one thing in common: FEAR!!!! First up is a theme I should have tackled years ago: genetically modified foods. I’m constantly in awe of the fact that we are living in the science fiction world I used to read about in sci-fi books when I was a kid. 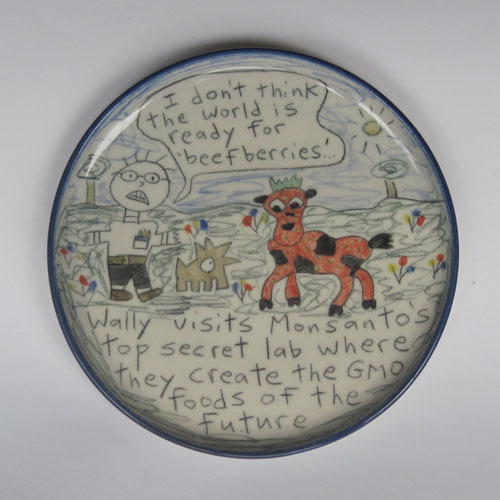 Here’s the Wally take on gene-splicing for fun and profit: “Wally visits Monsanto’s top secret lab where they create the GMO foods of the future”. I just rolled out a bunch of mugs, plates and bowls with this design and they are for sale in my online store. 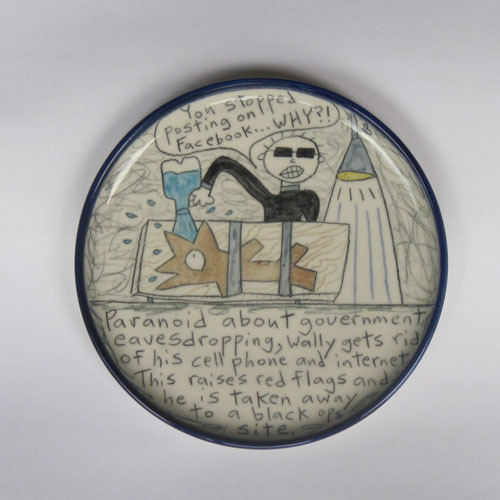 Our other new design is ripped from today’s headlines: “Paranoid about government eavesdropping, Wally gets rid of his cell phone and internet. This raises red flags and he is taken away to a black ops site.” I guess it was only a matter of time until Wally became a candidate for waterboarding. I find the issue of government eavesdropping fascinating because it appears that our world is turning into one of those futuristic dystopian nightmare societies. The great irony is, that it’s not exactly the government that is building the spying infrastructure. It’s all of us who wait in line at the Apple Store for the new phone that is turning out to be the greatest tool ever for the covert monitoring of our behavior. And that’s crazier than anything a sci-fi writer could come up with! 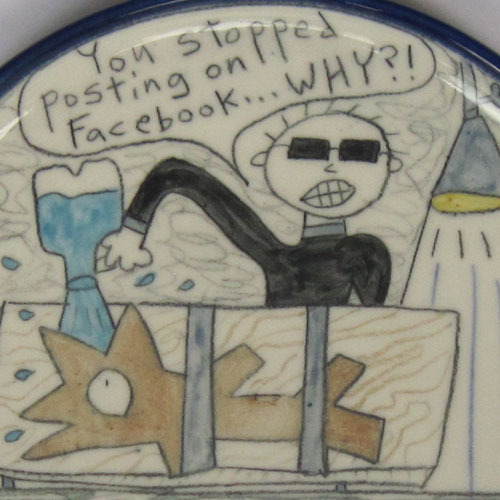 If you want to laugh it off with a dark joke on a wheel-thrown porcelain pot, hop on over to our online store. Just remember, Uncle Sam will probably see that you did that. 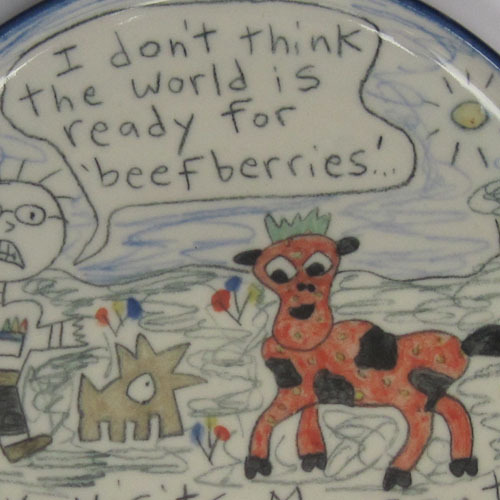 This entry was posted in New items and tagged GMO jokes, Monsanto GMO food humor, NSA humor, Wally GMOs, Wally NSA spying. Bookmark the permalink.